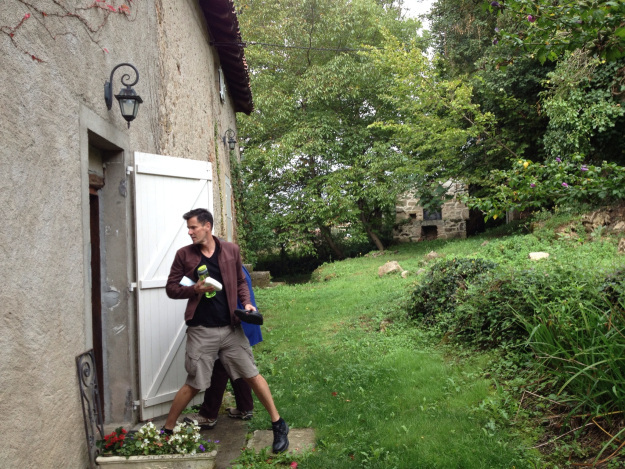 Meredith found a great house to rent in Figeac, about four hours south of Paris. The house is a few hundred years old. There’s an oak tree you can touch when you lean out the window. We hear birds throughout the day, and sometimes see a squirrel harvesting the autumn acorns. The stones are mossy green and ancient. Last night an owl hooted at the moon.